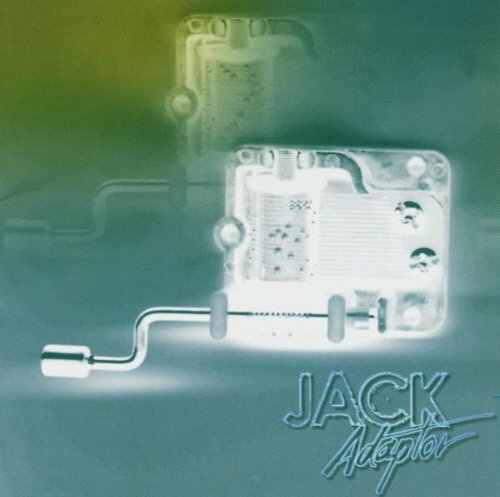 The debut album from Jack Adaptor. Jack Adaptor, the album, is the modern, funky angry, clipped sound of Jack Adaptor, the band, with topics ranging from ex-girlfriends going on holiday to the futility of nostalgia and coloured animals. The album was recorded at Bluestone under fairly difficult conditions – downtime and all night sessions - at the same time as follow up album Road Rail River. CC was left to his own devices while PF went on honeymoon to the Peak District. PF blew up some soup in the kitchen and caused a washing–up related flood which he had to dry up with a tiny hand-held hair dryer. JA was recorded with the able assistance of the long-fingered , gentle Mat Hempell, who could engineer like lightning and also manipulate the bass guitar and keyboards. Drummer Gareth Batson and ace cellist Audrey Riley were brought in to play; Phil Vinall, who had produced the first recordings CC and PF did together as Pure Grain (as well as Placebo, The Auteurs, Television Personalities, and Gene) pitched in with ideas; and demon scratch artist “Funky” Joe Attard brought a contemporary edge.